Westport House is an 18th century palladian mansion set on over 300 acres in the heart of Westport town. One of the few privately owned historic homes left in Ireland, this stunning house remains still very much as it was in the 18th century and you’ll feel like you’re walking back in time into your very own Downtown Abbey. The lakeland, parkland and woodland grounds are peaceful and beautiful rivaled only by the stunning interiors of the house. 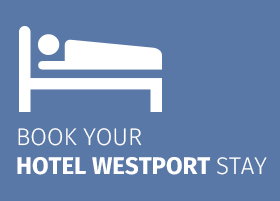 We pride ourselves on giving a very warm Westport welcome to all of our visitors and especially our wedding parties. We will do everything we can to make your wedding day exceptional. There has been a ‘big house’ on this site since the 1500’s, when Grace O’Malley, the famous Pirate Queen and Original Wild Atlantic Woman, built one of her castles here. Amazingly, her dungeons still remain in this magnificent mansion which was built in 1730 by her descendants. The house was built by Colonel John Browne, a Jacobite, who was at the siege of Limerick, and his wife Maude Burke who was Grace O’Malleys’ great-great granddaughter. The east front – and main entrance to Westport House – was designed by famous German architect, Richard Cassels with the finest limestone taken from the quarry by the estate farmyard and was executed by local craftsmen. Richard Cassels also designed Carton, Haselwood, Russborough and Leinster Houses (our nation’s government buildings). Westport House was completed by father and son James and Benjamin Dean Wyatt (many of the ceilings, cornices and fireplaces), Thomas Ivory (south facade) and Romaine Walker (west facing terraces). 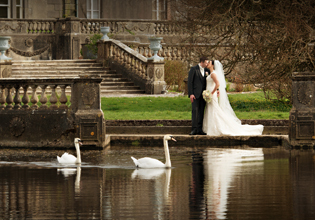 We have a choice of venues on the Westport House estate for your special day and day after option. Have you considered your wedding ceremony? We would love to help you arrange it. Read on for details of where you could host your fairytale wedding ceremony. Check out our three venues ideal for ceremonies, receptions and afters.